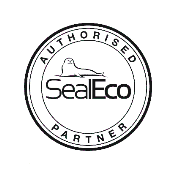 Self-adhesive tapes, cleaning and preparation primer, small puncture repair kits, flashings and pipework accessories, sealants, are all available for use with our EPDM liners. Firestone QuickSeam™ splicing products form the best possible solution for on-site seaming, joining and repairing EPDM Liner. Simple to use with professional quality results. For larger ponds, lakes and commercial projects we are happy to recommended Trained Firestone Installers for installation and site seaming of Firestone PondGard EPDM liners. We run our own in-house training school for landscapers and pond liner installers not familiar with this system. 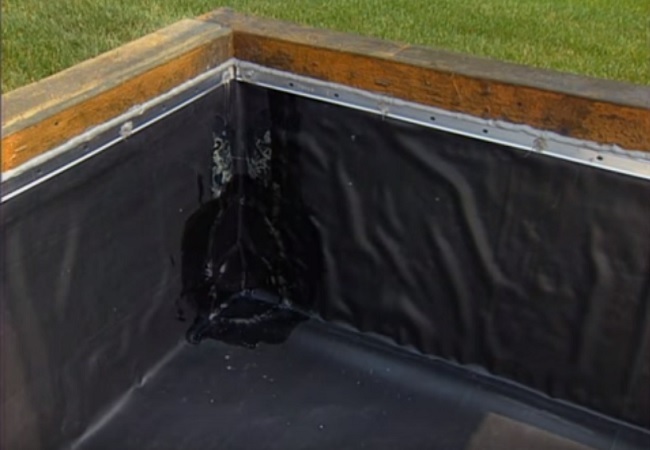 Multiple Firestone PondGard™ EPDM membrane panels can be assembled on site using the Firestone QuickSeam Splice Tape System. This advanced method of EPDM field seaming is based on Firestone QuickSeam Splice Tape, a self-adhesive EPDM/Butyl tape. Since its first application in 1987, millions of linear metres of Firestone QuickSeam Tape have been successfully installed worldwide. 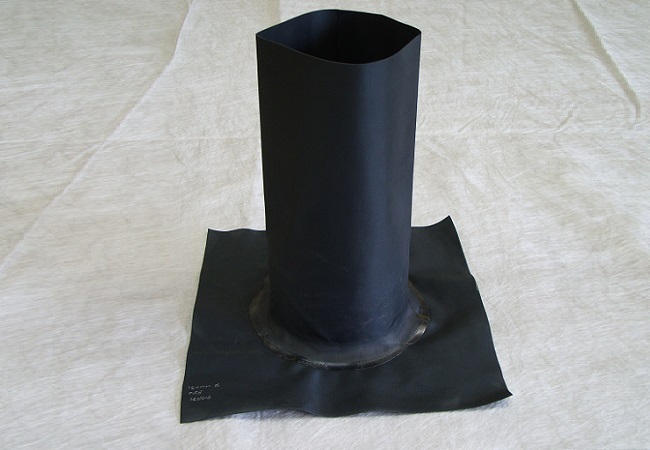 QuickSeam™ 9" Form Flash is a 228mm (9") wide, uncured EPDM flashing laminated to cured seam tape. 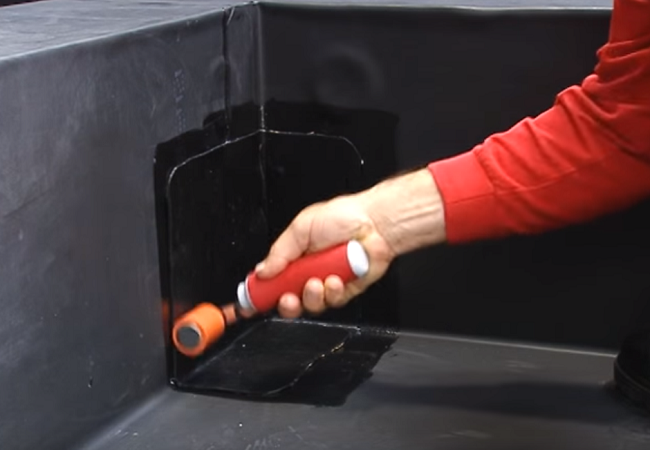 QuickSeam FormFlash is used to flash inside and outside corners, reinforce lap seams, cover repairs, pipe penetrations and other applications as specified by Firestone Installation Guidelines. Supplied as a 228 mm x 15.24 m (9.0” x 50ft) full roll (or part roll cut to the nearest 0.5m). Thickness: 1.6 mm (0.065” ). Used with QuickPrimePlus Primer and a QuickScrubber pad to clean and prime mating surfaces. 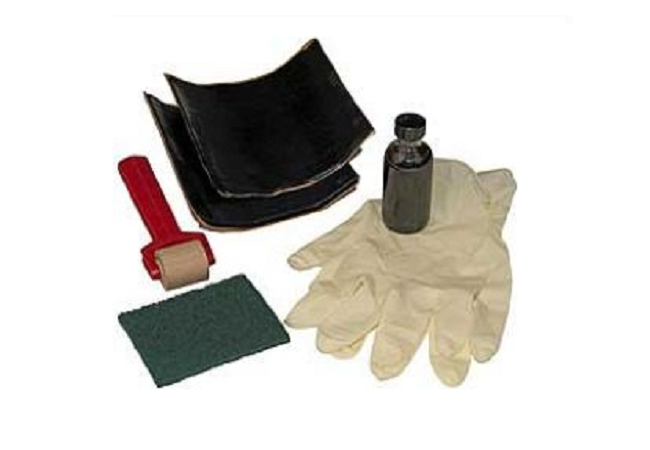 Firestone QuickSeam repair kit includes all the components and equipment necessary for small simple patch repairs. This kit includes two self-adhesive FormFlash EPDM patches and a small bottle of the QuickPrimePlus liner cleaner/preparation fluid. Applied using the green scrubber pad, the QPP fluid cleans the surface of the liner and acts as a primer agent for the self-adhesive tape backing on the patch. Once applied the patch creates a strong watertight repair. Comes complete with QuickSeam Tape already applied to flange and a Stainless Steel hose clamp to secure to the pipe. Base Flange: 330 mm (13.0") O.D. (Note: Installation requires QuickPrimePlus Primer, Scrubber Pad, Hand roller, Water Block Seal and Lap Sealant). The Firestone Bonding Adhesive BA-2012 is a solvent-based contact adhesive designed specifically for bonding Firestone PondGard™ and GeoGard™ EPDM membranes to approved insulations in addition to wood, metal, masonry and other acceptable substrates. Aluminium termination bar is supplied in 3m lengths and is cut down as required. We can supply masonary fixings for block work. TAILOR-MADE pipe sleeves are made to order (note:- minimum 100mm diameter pipe size). We fabricate these from EPDM or BUTYL pond liner sheet and are also applied to the liner using the QuickSeam™ system. When using Firestone Seaming Products follow all appropriate Safety Guidelines. We supply pond liners to many Aquatic centres throughout the UK, try our FIND A RETAILER page or phone us for advice.